Brett (Pencil) O'Reilly has the football world at his feet until the trouble starts. Is a mad plan enough to save his dream? 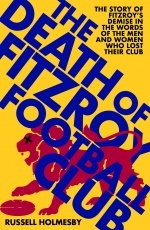 Published in conjunction with Essendon Football Club for their literacy programme. 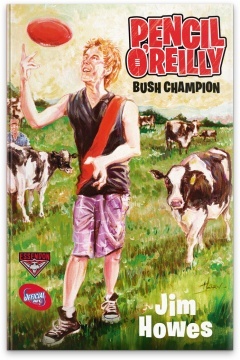 Many greats of Australian Football have hailed from the bush, and Pencil O'Reilly is desperate to add his name to the list. A teenage football star from a close-knit family, Brett "Pencil" O'Reilly (like all good footy players he's got a nickname, and his came from being pencil-thin) seems destined to fulfill his dream when he is drafted by his beloved Essendon. However, when his family comes calling for help after a loved one suffers an accident, Pencil answers the call – putting his footy career at risk. 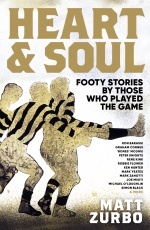 Experienced author Jim Howes delivers a winner with his first footy book – a delightful, humorous and easy read that will appeal both to those who love the game and those who want to learn about it. The book is supported by the Australian Literacy and Numeracy Foundation.